I placed an order with you Monday morning for some pocket knives to give as gifts. I was very impressed with your friendly, well thought-out web site. I am on-line way too much, and visit hundreds of business sites every week. I consider myself to be a good judge of how well a company has done in providing a user friendly Internet "storefront." Your site is a blue-ribbon winner! It is interesting, pleasing to look at and above all, it works. No dead-ends, loops or confusion. Whoever designed your site is to be congratulated. Now if this weren't enough, I came home from work today and found my order in the front door. Delivered in 24-hours!!! I'll recommend your company to many others and will certainly do business with you again soon. Thank you for taking the time to read this. I thought you might like to hear from a very happy customer. Hello I recently purchased the Boker Gnome Neck Knife, and at the time, this particular knife was on back order. I just received the knife and could not be happier with my purchase. Even though It took some time to arrive I never once worried or wondered . . . "What ever happened with that order I placed!?" Knifecenter.com is by far the most pleasant experience I have had in dealing with e-commerce. I moved during the backorder period, changing the destination address by a thousand miles. My second day in my new apartment UPS gifts me my package! I have never had a problem being a squeaky wheel when I am getting the run around or being mishandled. I enjoy, even more, putting the same amount of time and effort into ensuring those who care, when procedure and people are getting it right! I just received my latest order from the Knife Center and I wanted to let you know how pleased I am with your company. Often times, people only take time to complain about things but I find it necessary from time to time to let someone know when they have exceeded my expectations and provided exemplary service. Your web site is outstanding! 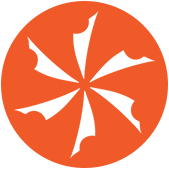 It is very easy to use and I can always easily find the products I am interested in. I also like the "in stock" icon letting me know if the item is available or not as well as the complete description and picture. I like the e-mail that follows every order showing all of the information about the order. I like the low prices! I like the customer service over the telephone! I like the same day shipping! I could go on and on and on but I don't have all night. Anyway, you have earned a loyal customer and I look forward to ordering from Knife Center in the future. You can be sure I will be using you outlet again in the near future. Once again, thanks for the Outstanding Service. Thank you for sending my order out using second-day delivery, this was above and beyond my expectation. Despite your warning that some items were out of stock and might not arrive in time for the holiday, all items were delivered with plenty of time to spare. Great job everyone! Three days ago I placed an order for a plain edge carbon fiber civilian. I had some trouble ordering ( mainly due to my lack of computer skills) and your courteous and knowledgeable staff quickly resolved my query. The knife was received this afternoon in perfect condition. 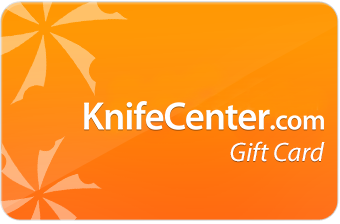 I will definitely do all of my future knife/shaving business with KNIFECENTER.com from now on. Thank you. I've been doing business with you guys for awhile now - service and quality have always been top-notch! Not to mention the excellent prices! keep up the good work! Recently I purchased a Benchmade knife online and found out I bought the wrong knife. I E-mailed my concern to the customer support staff and the next day received a response on how to return my purchase and buy the correct knife. I am extremely impressed with your customer service department. Twice I have spoken to Alan in customer service and his demeanor over the phone has been outstanding. Truly, your level of service reflects in the people you hire in your business.Also I shopped several knife sales sites and your company has absolutely the best prices. At first I was skeptical about online ordering, but my experience with Knife Center of the Internet has been first rate. I have already told several of my fellow law enforcement coworkers about your web site. Keep up the great customer service. This correspondence is in way of acclaiming your service. On 5/30, at almost 6:00 PM, I called the Knife Center to place my order. Rather than being abrupt and impatient (generally the case anywhere when a call comes in at the end of a busy day) your young man, Kevin, was cheerful and informative. Remarkably, the order (Rambo III bowie) was received THE NEXT DAY. I couldn't have been more pleased with the item or the service that attended it. Well done to all involved. I recently ordered a pocket-knife from your internet site. The knife was delivered within 2 days! I live in a small town in Northern Ohio...I could not find the knife I wanted locally. Your site offers a wonderful selection of knives at reasonable prices! I will gladly order with confidence from your website in the future. I will tell all my friends about your service and selection. Again, thank you! All my best to everyone at the knifecenter.com! Gooday ..., All the best to you to for the new year. Your sight has evolved into a superb example of commerce and ingenuity. I have used all your methods of ordering and cannot fault the way it works. I would vote your sight as the best user friendly one on the internet. I had ordered a Gerber Machete Jr. as well as a carbide sharpener about a week ago. I found an online notice that there is a recall on this item for safety modification. After receiving an e-mail from you stating that the this Gerber Machete Jr. was out of stock awaiting backorder. I wanted to make sure that the shipped unit would be the updated, safe version. Upon calling Knifecanter, I was assured that it would be and that it would be shipped the day it arrived. I told the gentleman I spoke with that I hoped it would be here in time for me and my Boy Scout son to use it at a Camporee next weekend. To our surprise, the order arrived yesterday. The order was perfect and delivered express mail. GREAT, BRAVO KNIFECENTER! I have purchased from you before and did not hesitate ordering from you again. In fact, as a scouting leader, shop teacher and backpacker enthusiast in an outdoor club, I recommend your company often. You have a great staff and a reputable company to be proud of. Thank you. By the way, if you need a field tester to write critiques on equipment I am available. I spent over 3 hours on the net going from one site to another, and not finding what I was looking for. But then I found your site and with such a large database of different knifes.... well I'm still looking through them all. A most definate future customer. I purchased a new razor, brush and shaving soap from your website this last week and just wanted to let you know how happy I am with the purchase. I ordered the items on a Sunday night and had the items waiting on my doorstep when I arrived home from work Friday evening. Everything was packed well and arrived intact. As for the Merkur Double Edge Safety Razor, I can't tell you how happy I am with it! I can't remember a morning when I didn't have razor burn irritating my face for the early part of the day. I don't know if its just the razor or the combination with the Lavender soap and boar bristle brush, but my face actually feels good after I shave. I highly recommend the Merkur razors. These and other like comments really make the cutlery business on the web a very worthwhile pursuit. Thanks to all!